Everything is designed to respect your privacy and your comfort and make your holiday wishes come true. 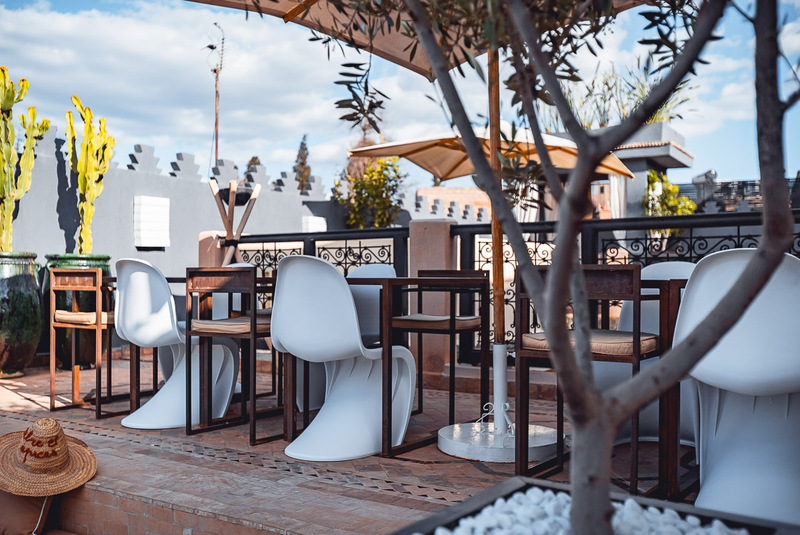 The patios is the heart of the Riad lifestyle. This open area within the core of the Riad will delight you with its changing sky light scenery. The secluded ‘’bhou’’ opens up to the courtyard which slowly leads you to a fireplace lit dining room and leisure area. Is a place of life and conviviality with relaxed musical atmosphere. We also have a reading nook with a fireplace that is lighted on cold days. Enjoy magical moments under the sun and feel awestruck by the natural wave of the ever changing sky light. Breakfast in the open morning fresh air, relaxing sunbathing in the daytime and romantic aperitif and candlelit dinner in the evening. *Reservation are made at the moroccan saloon!